My aim with this Page is to let my guests, and their friends, know about other accommodation sites in New Zealand and around the world. These are hosts I am friends with and know offer superb personal attention to their guests. In these pages you will find accommodation in the middle of cities and others in more remote parts of the world. The one thing they all share is their love of hosting and their desire to make you welcome and your visit, memorable. 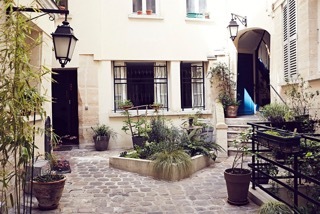 In Historic and Gourmet central Paris, 75002, Your apartment with BnB delicious services. Attentive welcome by Martinn, your authentic Parisian bilingual host. “Enjoy birds, blooms and butterflies at Hidden Valley Motel. We are a small mom & pop business in the Foscoe Community on the outskirts of Boone, North Carolina”. Your hosts are Jim and Maxine.